Hookedblog has just returned from a long weekend in Waterford city, one of Ireland’s oldest cities on the South East coast. 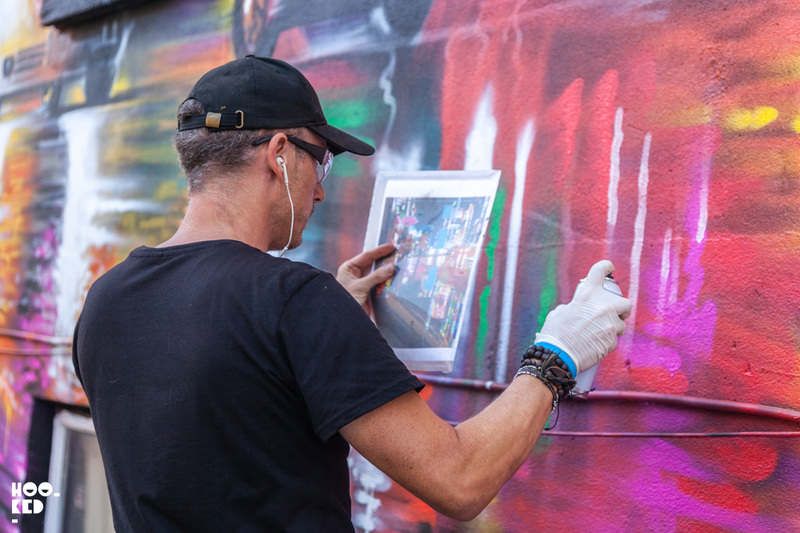 We were in town to check out the fourth edition of the Waterford Walls International Street Art festival. 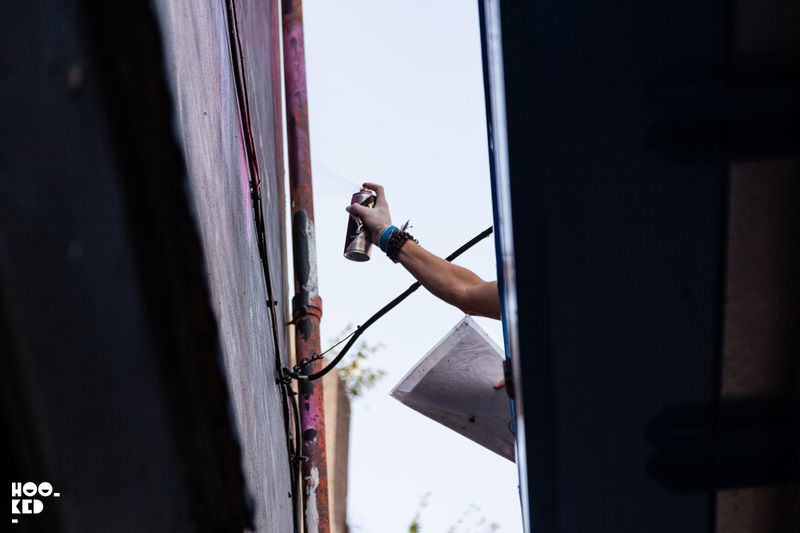 Hookedblog had such an amazing time in Waterford last year at the festival we made the trip back for the 2018 edition, which saw founder Edel Tobin and her team host some 50 international and national artists who transformed the city into one large outdoor gallery over the duration of the festival. 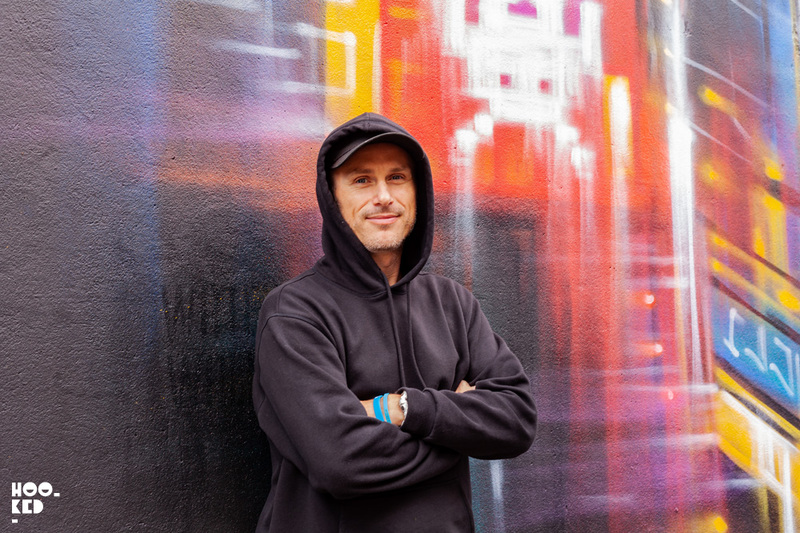 A regular on the streets of East London, Street Artist and Illustrator Dan Kitchener aka DANK was one of the many artists invited to paint on walls across Waterford City. 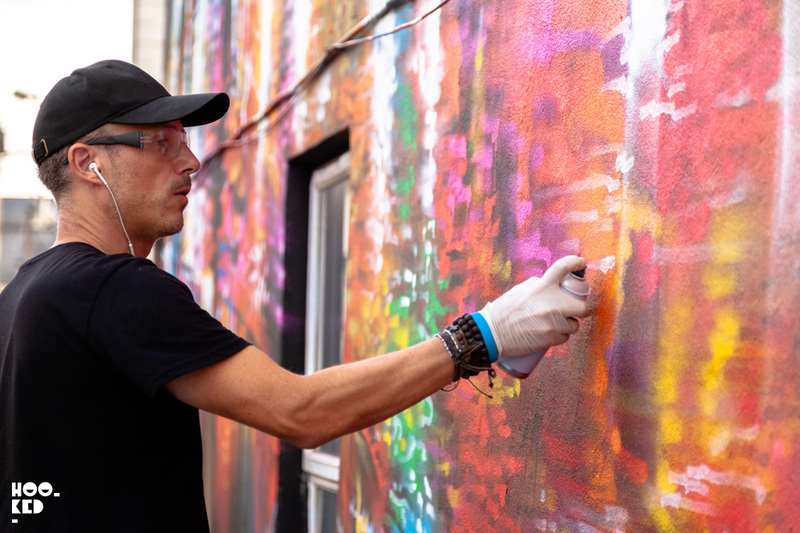 At 35ft x 20ft this striking new large-scale mural was painted over three days and according to Kitchener is “definitely one of my top 5 murals painted worldwide to date”. 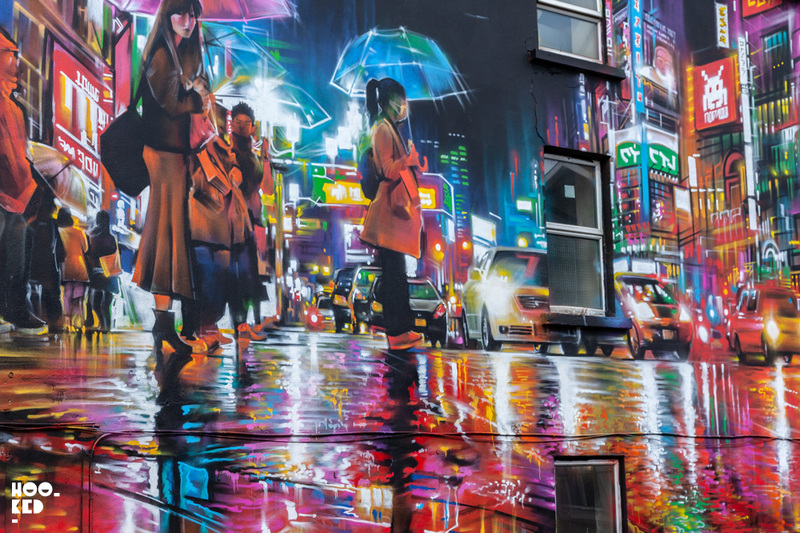 From a rainy Shinjuku scene to a sunny street in Waterford, the vibrant neon-like colours really pop in the Irish sunshine and unlike some of the one day “speed paintings’ as Kitchener refers to them, this mural is packed with a crazy amount of detail that we don’t don’t always see in some of the other murals we have seen from him. The three days really allowed him the time to spend painting the additional details and the results make for an impressive mural that stops you in your tracks as you walk down O’Connell Street. 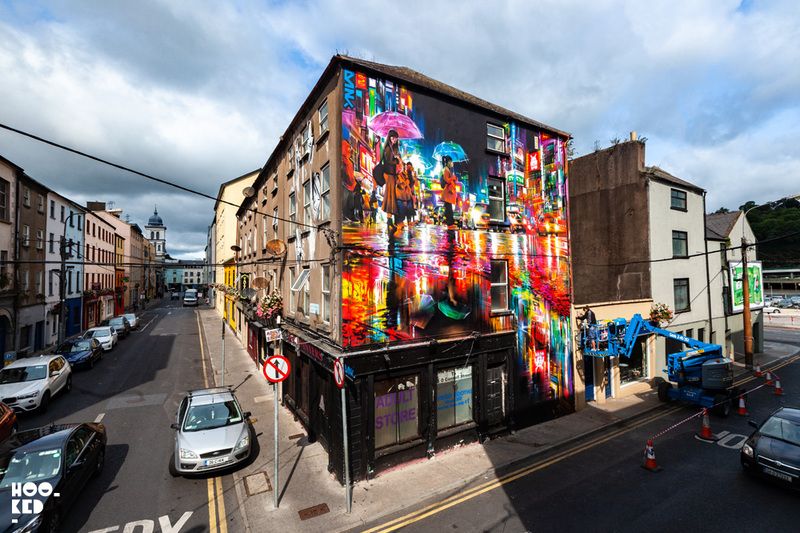 Titled ‘Neon Waves’ the new mural is located on Vulcan Street just off O’Connell Street in Waterford, Ireland. 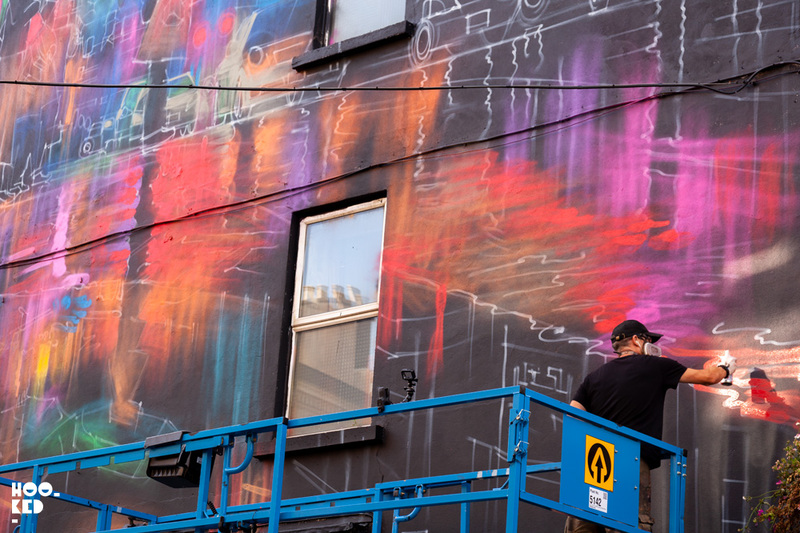 Close up shot of the Neon Waves mural showing some of the impressive details in the latest mural from Dan Kitchener in Ireland. 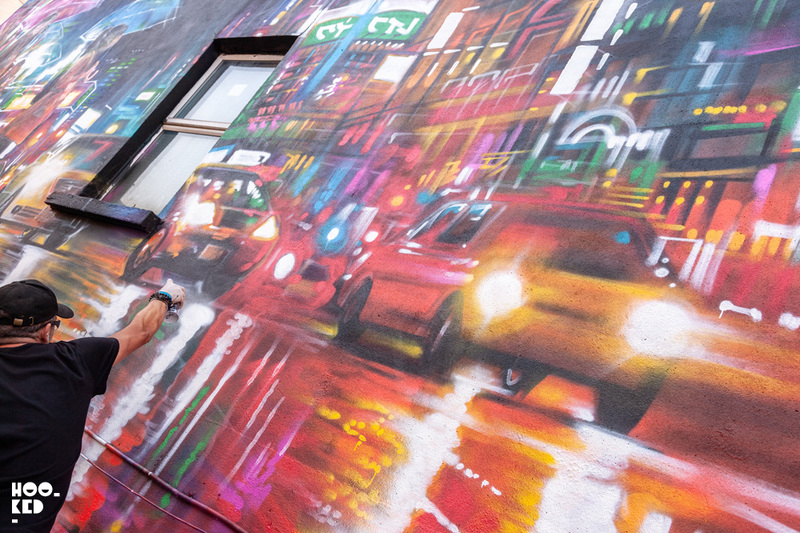 With the Neon Waves mural complete, Dan Kitchener takes a moment to pose for us for a quick photo. French Street Artist Ador's Waterford Walls Mural in Ireland. Canadian Street Artist BirdO's Waterford Walls Mural in Ireland.